Elder abuse is real and is a real problem in the state of Michigan, according to Attorney General Dana Nessel. Monday, she and a coalition of more than 30 organizations announced the formation of a robust task force to crack down on the abuse, which can be physical, emotional or financial. (WXYZ) — Elder abuse is real and is a real problem in the state of Michigan, according to Attorney General Dana Nessel. Monday, she and a coalition of more than 30 organizations announced the formation of a robust task force to crack down on the abuse, which can be physical, emotional or financial. Nessel says it's unrecognized and unreported as a social problem, and this new task force is meant to bring what's often hidden to the forefront. "I found out that all the money we had put away in our 401K was gone," said Dennis Burgio, a victim of elder abuse. The 71-year-old from Macomb County lost his entire savings when he was duped into a business transaction that drained his retirement account. "As it turned out, the person that had taken our money was a close personal friend," Burgio said. The state calls it financial exploitation. It's a common form of elder abuse that Attorney General Dana Nessel and a coalition of others, including legislators, court justices, law enforcement and advocacy groups are now cracking down on in a new task force. One out of every 10 older adults is likely to become a victim sot that means they experience physical abuse, financial exploitation, emotional abuse or neglect. Action News has tracked several instances of physical abuse over the years, including a shocking case from a year ago. 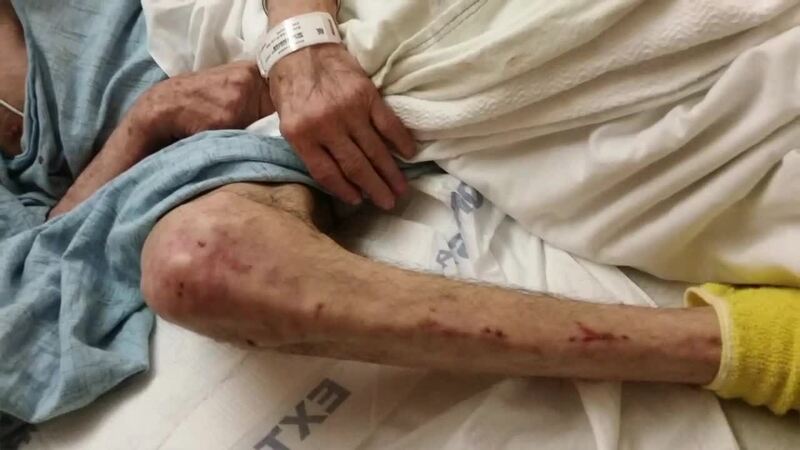 Hidden video showing an 87-year-old Livonia man being roughed around. His children said they discovered bruises, cuts and significant weight loss of their father, who was under the care of Autumnwood Nursing Home. Officials say this new task force will focus on protecting vulnerable adults from undue caregiver influence, but will also increase maximum penalties for abuses, and develop elder abuse community investigation teams. If you want to report a case of elder abuse, call 1-800-24 ABUSE and issue a complaint.